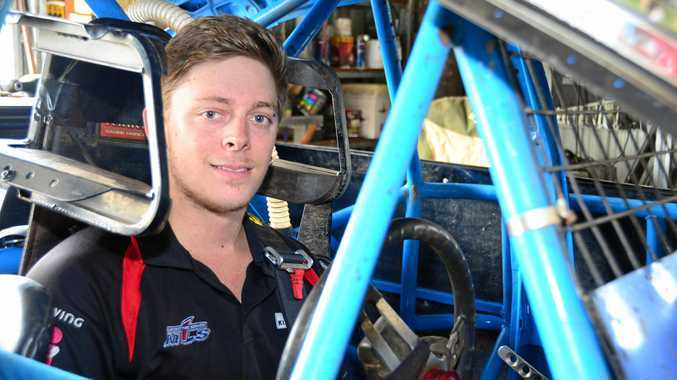 SPEEDWAY: This weekend's production sedan race at Maryborough Speedway won't be stressful for Wondai's Josh Harm. Harm will be crowned the Ian Boettcher Race Parts Production Series winner even if he doesn't race on Saturday. He has won each round of the series and has secured an unassailable lead. "It has been a good year, with good luck and a good car,” Harm said. Harm has been racing for 10 years and mainly in production sedans. The Apprentice Diesel Fitter credits his success to the SC26 car. Harm has borrowed the car from good friend, Sunshine Coast's James Elliott. He is not about to rest on his previous success and plans to be at the head of the pack on Saturday night. "A lot can happen in 40 laps and I just need to stay clean and stay out of trouble,” Harm said. Harm has set his next goal on becoming the national champion in the production sedan class. He knows he will have to beat high quality drivers including current national title holder Joel Berkley. Harm and Berkley are friends off the track but it is a different story once they are racing. "Joel will be tough to beat, but there are other drivers that can win as well,” Harm said. The other drivers mentioned by Harm included the current state champion Chris Pagel as well as Brayden Pacey. Gates open at 1pm with racing on the track from 4pm.